Digital scrapbooking storage is a website that provides information on digital media and on how to properly store the digital creations of your memories so that they can last and be enjoyed in the future. Traditional scrapbooking to capture and preserve important events such as weddings, vacations, family history, etc., involves the use of traditional materials such as paper and photographic prints. These materials can degrade, but with proper handling of the scrapbook, the use of good storage conditions such as avoiding warm temperatures and humid conditions, avoiding excessive light exposure, and using good quality materials to construct the scrapbook, the scrapbook should last for many decades. Even if some degradation does occur over time and the scrapbook is no longer pristine, the scrapbook can still be used and enjoyed. Over the last few years, how we collect our family memories and record other events in our lives that we wish to preserve has primarily shifted to digital. Traditional photography has all but disappeared and digital photos that are displayed on digital frames dominate our lives. Traditional letter writing on paper has been replaced by emails or phone text messages. Even video and audio recordings are now dominated by digital. As a result of these changes, a whole new area of digital scrapbooking has evolved and taken advantage of the many exciting and versatile options that the digital world can offer. There are many types of software and tools available to help you create your digital scrapbook and because it is digital many different types of information can be included in your project. The modern day problem for scrapbooking is digital scrapbooking storage. On what storage media should digital scrapbooks be stored on to ensure they will last many decades? 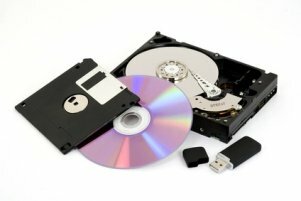 What is the proper way to store the digital storage media? Keep in mind that with digital information, you cannot simply store the digital scrapbook on any type of media, place in on a shelf, and expect someone to be able to extract the information from it at some point in time in the future. This may have been the case with traditional scrapbooking materials, but not for digital scrapbooking. More thought needs to be placed in the type of media chosen and how this media is preserved. 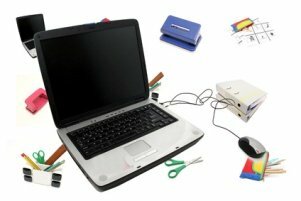 Digital-scrapbooking-storage.com examines the various storage media options that can be used to preserve you digital memories. This website examines the world of optical disc storage such as those that are read-only, recordable, and rewritable. Optical discs are a digital format and are read by light or to be exact a laser. More specifically, this website provides information on CDs, archival CDs, DVDs, archival DVDs, Blu-ray discs, high definition DVD or HD-DVD, and other types of optical discs. Although there are many different types of optical disc formats that have been introduced over the years, the focus on this website is on optical disc formats that are widely available commercially and those that are most likely to be used in digital scrapbooking projects. Optical discs are not indestructible and therefore, it is important to examine the problems (chemical or physical) that can occur with this type of media and how to repair any issues. Damage repair is important to make the CDs, DVDs, or Blu-ray discs, playable so that the content stored on them can be retrieved. In order to prevent damage to optical discs and ensure that they last as long as possible, it is important to follow proper storage and handling procedures. This section of the digital scrapbooking storage website examines a variety of issues related to the proper storage and handling of optical discs and provides information on the longevity of different formats of CDs, DVDs, and Blu-rays. The next category of storage media is magnetic media. This category can be subdivided into magnetic tapes and magnetic disks. Magnetic media are different than optical discs because now the reading device is not light but rather magnetic heads that contact the tape. Magnetic tapes can be either analog or digital. On this website the focus is on the more popular formats. Much of our past memories exist on non-digital media such as audio cassettes tapes, VHS tapes, and Betamax tapes, and this website will discuss these types of analog media and how the information on these materials can be incorporated into your digital scrapbooking projects. Many resources are provided for converting VHS to digital formats and for converting analog audio to a digital format such as MP3. Magnetic tapes need to be preserved until they can be transferred to a digital format. In addition, even after the digitization of VHS tapes or audio cassettes, the originals may be kept for future use or redigitization. Therefore, it is important to properly preserve magnetic tapes by following proper magnetic tape storage procedures. Magnetic disks are strictly a digital storage format and are discussed in detail in this website. Plenty of information that can be used in digital scrapbooking projects can be found on floppy diskettes, Zip disks, the Iomega Jaz drive, and hard disk drives. The third category of storage media is flash. This type of format is only for digital storage and the reader is essentially electricity, which is a very different technology than optical discs and magnetic media. Flash is more expensive than other storage options, but is commonly used in digital cameras and everyday storage of files and movement of files from computer to computer. This is why it is relevant to discuss this media format in light of digital scrapbooking storage. Flash media includes many different types of formats such as several varieties of memory cards, usb flash drives, and solid state hard drives. There is a growing interest in cloud storage for digital information. This is essentially using a company's hard disk drive servers or a series of these servers to store your digital information, as opposed to storing the files locally on your own optical discs, magnetic disks, or flash media. There are usually a number of issues that need to be examined before selecting cloud storage for digital scrapbooking storage. Please subscribe to the Digital Scrapbooking Storage Media Blog. This blog will inform you of the appearance of new pages on this website or of updates to existing pages. You can subscribe to the RSS feed of this blog by visiting the above page. Click Here if you have a question on CDs, DVDs, Blu-rays, audio tapes, video tapes, floppy and hard disks, and other types of storage media or if you want to see what others have asked. You can share your scrapbooking and digital scrapbooking storage and other ideas and read the ideas of others at this scrapbooking page ideas link. There are a variety of other resources that are provided by this website. First of all, this website provides a sitemap, where you can find all the pages of this website listed all in one location. You can use this to easily find the information you require on digital scrapbooking and media to store the digital scrapbooks on. The Digital Photography Websites page provides links to additional websites on this topic. More information on digital media can be found at the Digital Media Storage Websites and at the Digital Media Other Resources page. Looking for other websites related to scrapbooking? Then the Scrapbooking Websites page can help. Finally, if interested in duplication and replication of optical discs, then the CD DVD Duplication Services page and the CD DVD Replication Services page will provide this information. Visit the Digital Scrapbooking Storage Contact page if you would like to contact us.